يضمن فندق Zero Davey Boutique Hotel الذي رمم في لزائريه قضاء وقت ممتع في هوبارت، سواء جاؤوا في رحلة عمل أو سياحة. يسهل الوصول إلى هذا الفندق ذو 4 نجوم من المطار، فهو يبعد عنه مسافة 22 km فقط. يوفر الفندق بفضل موقعة الجيد وصولاً سهلاً إلى أهم معالم المدينة.
. كما يقدم Zero Davey Boutique Hotel الكثير من الخدمات لإغناء رحلتك في هوبارت. تتضمن الميزات الرئيسية في هذا الفندق: واي فاي مجاني في جميع الغرف, أمن على مدار 24 ساعة, مجهز لذوي الإحتياجات الخاصة, مرافق مخصصة لذوي الاحتياجات الخاصة, تسجيل وصول/خروج سريع. تنعكس أجواء Zero Davey Boutique Hotel في غرف الضيوف.شاي مجاني, مناشف, قهوة فورية مجانية, تلفزيون بشاشة مسطحة, مرآة هي بعض الميزات الموجود في العديد من الغرف. يمكنك طلب اللائحة الكاملة للخدمات في الفندق ومن بينها مركز للياقة البدنية. إن Zero Davey Boutique Hotel هو خيار ذكي بالنسبة للمسافرين إلى هوبارت، بما يوفره من إقامة هادئة ومرحة. From the moment we checked in the staff were welcoming and friendly. The room was clean and spacious, we had a great view of Constitution dock and Mt Wellington from our room. Restaurants were easily accessable from our location, taxis just across the road, as was a bottle shop. The bed was so comfortable, and everything you needed including a fully stocked kitchen was available should you require it. The Salamanca market and shopping area is only a few minutes walk away. I would absolutely recommend this hotel to anyone who asked. Modern large rooms. Some with harbour views. 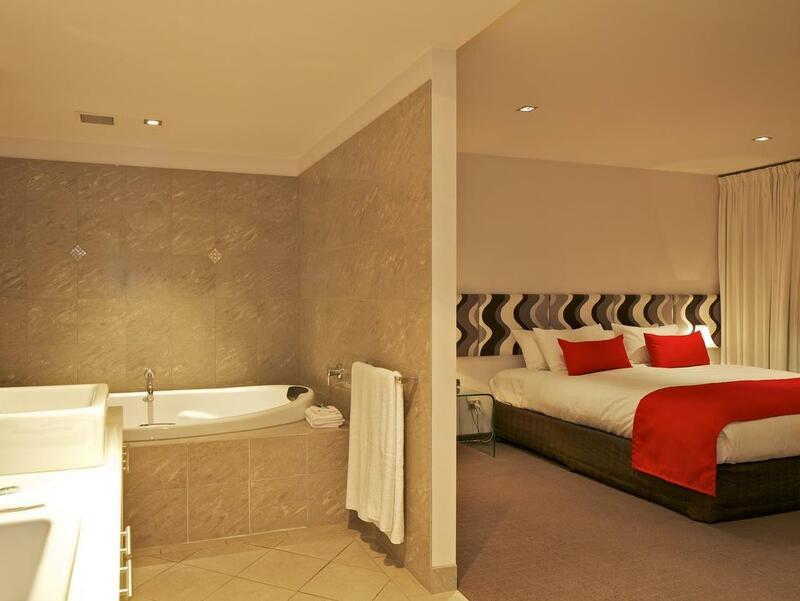 This hotel is situated in the heart of Hobart. Easy to walk around. Washing machine pantry and cooking stuff are provided in the room. Just need more thorough clean in the toilet when housekeeping services room. Overall, it is worth for your money and I will stay here again if I go to Hobart. Zero Davey is a well located 4 star property, overlooking the harbor and about 5-7 minute walk to Salamanca. Not much right around the hotel after dark, a few restaurants, but expect to head to CBD or Salamanca if your looking for action. Should have got an apartment away from the street. Washing machine broke but night manager was great. She took our wet washing and put it through a machine for washing and drying. She then delivered it to our room. Wifi was good. The staff were great and friendly. Especially Brittany, she were helpful too. Answering our many questions. Great location. We got seaview and that was wonderful. Room equipped with heater. Comfy bed. Near to many eatery. The chinese restaurant downstairs serve great food. We will book this hotel again! We were with three generations at the Zero Davey Boutique Hotel. It was the starting point of a trip through beautiful Tasmania. The units are apartments in a modern building next to the harbor. We had two rooms, a spacious living room and two bathrooms. This was a very comfortable place to stay. When we arrived the lobby was not staffed but not a problem, instructions were at hand to recover the key. Highly recommended for those looking for a spacious place to stay when in Hobart. Its my third stay at Zero Davies & this trip was for 4 nights. I had to book a luxous waterfront room as there was nothing else available months ago due to a conference. The room naturally had a wonderful veiw of the waterfront & mountain,which I was eager to see each morning. But I actually prefer the configaration of the studio apartments on Davey St better to that of the waterfront. Still I will stay at Zero Davey again. Funky room, location and friendly staff. We have stayed at Zero Davey on previous visits to Hobart and will continue to stay at Zero Davey for future trips-just love the funky studio apartments and the location and surrounding area at Sullivan's Cove. The experience in Zero Davey hotel was overall fantastic. We liked the interior design of the hotel and the decorations. The hotel is centrally located and there are lots of ammenities near the hotel. The service staff of the hotel are courteous and we feel that the service standard of the staffs are pretty high as compared to many other hotels that we have stayed. Stayed 2 nights at Zero Davey while in town for a wedding. A practical place to stay if visiting the CBD and not travelling with a car - once checked in you can walk around the waterfront / CBD with ease. There is no making-up of rooms on weekends and public holidays, I wasn't aware of this and got back late at night wanting a shower and had no clean towels. A little frustrating but if you know this you can plan ahead. Would stay again. Check in was a brisk and within walking distance to Salamanca place and food outlets. Thereare a couple of restaurant just next to Zero Davey (Chinese, Indian, seafood) Walking distance to city centre also. We have just spent 7 days at the above accommodation. 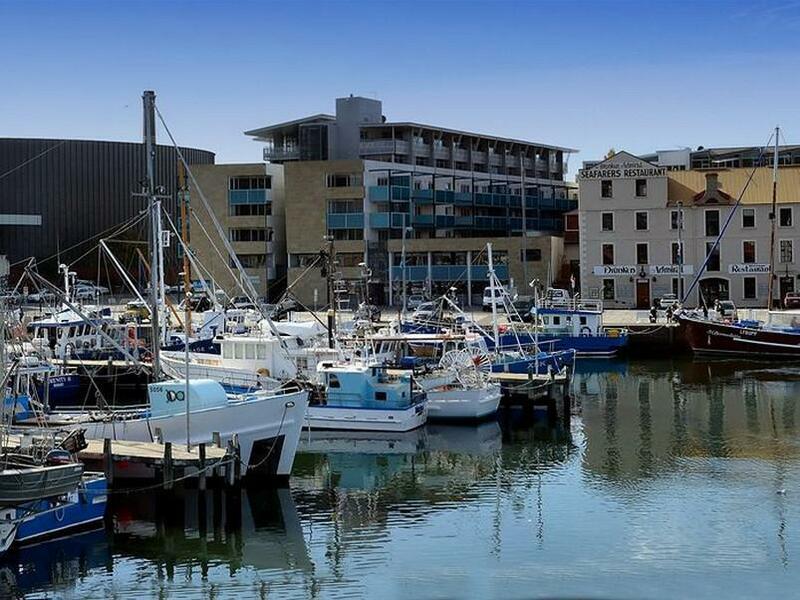 What a fabulous location it is in, so very central to all that Hobart has to offer, in every which way. Would highly recommend this to all travellers. Second stay here in a week and, this time, we're in a room that overlooks the magnificent Hobart waterfront. Regardless of the view, though, location is the real winner for Zero Davey. The rooms seem a little older than expected, but are clean and well-appointed; and they're definitely in a great location! I stayed in Gibson mils on 1st night with very bad experience then I moved to zero davey on the 2nd night. This hotel is situated right near the port, car park and check in reception in the same building (this I could not find in suillian cove). The room is a at right size and room rate is value for money. Great stay here after finishing off the Overland track. The staff were very accommodating with requests and were helpful with suggestions of places to go. The room had everything we needed and was nice a roomy for two people. Shame the sauna was out of action, but ah well nothing is perfect. 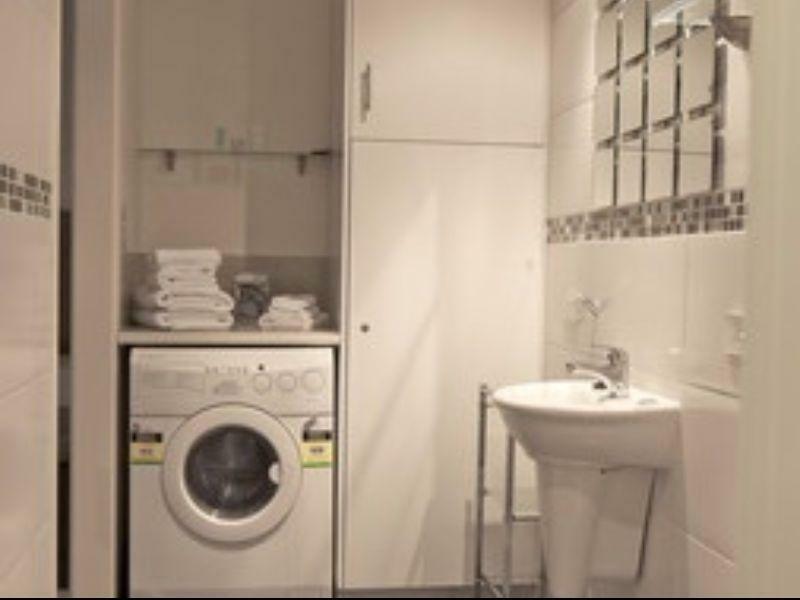 Washer and dryer in the room, right next to an amazing seafood restaurant and very clean hotel. We really enjoyed our stay at the Zero Davey Boutique Hotel. We stayed for 2 nights in a Deluxe Davey Studio room and found it to be a very clean, comfortable and enjoyable place to stay. 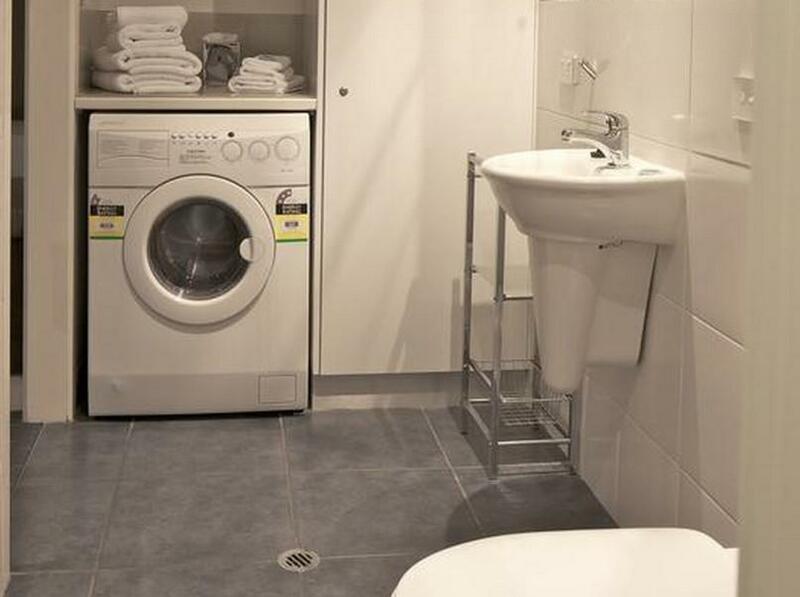 There was a washer/dryer in our room which we loved as we were able to have some fresh clothes for the next part of our trip. This hotel is located in North-East Hobart and is located on a main road however you cannot hear the traffic at all in your room and the traffic in Hobart does settle down once peak hours are over anyways. The hotel is also located near an amazing seafood restaurant, a lovely Indian restaurant and a Chinese restaurant (we didn’t eat at the Chinese restaurant but it seemed fair). We would definitely recommend this hotel. We had a great time at the zero Davey hotel. We booked a luxury studio room with a lovely view over the harbour. The room was spacious, very well equipped and had a large comfortable bed, great bedding and a large bathroom with a great shower. The hotel gave you all the extra little touches. A good choice of teas, some washing powder sachets to do so e washing in the washing machine in the bathroom and salt and pepper etc. All those things that you need but you don't want to buy a lot of at the supermarket. All the staff were attentive and helpful. If I go back to Hobart I will definitely stay there again and would recommend it to anyone going to Hobart.